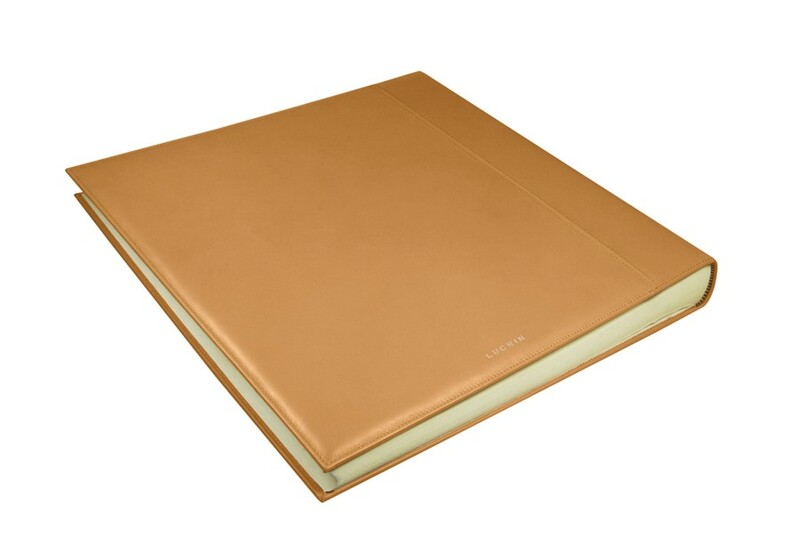 This large photo album comprises of 30 sheets (60 pages) of 230 gr ivory colored paper, with protective covering. 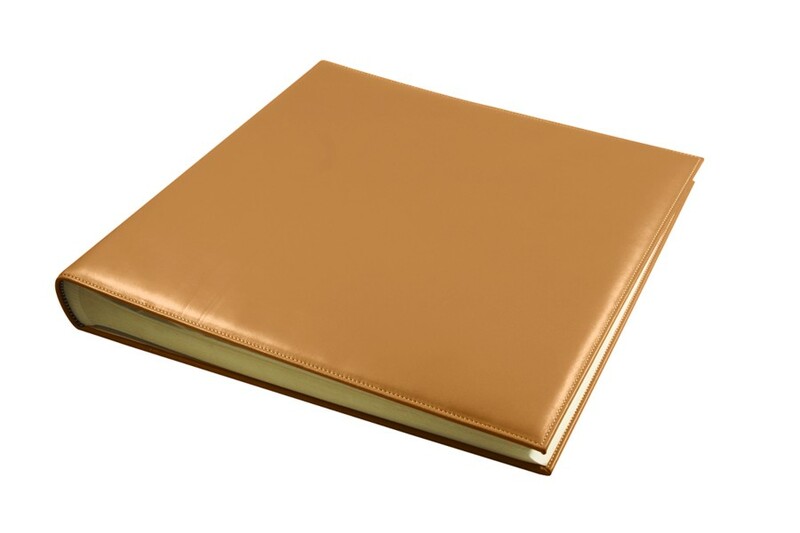 Its cover is made in sturdy authentic leather, ideal for keeping memories of the most important events in your life. 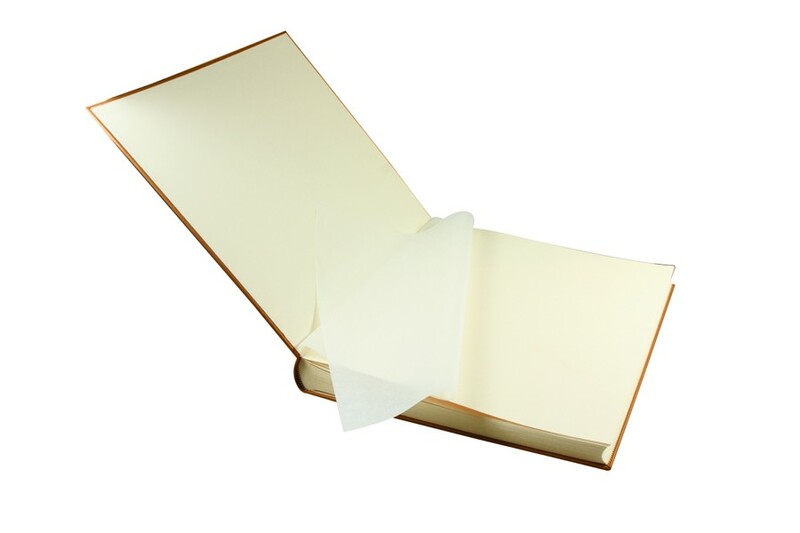 Page size : 13.4” x 13.8"
Size closed : 14.0" x 14.2"
Size open : 30" x 14.2"